What explains the disparity? According to this Mayo Clinic specialist, “For a well-trained athlete, a normal resting heart rate may be closer to 40 beats a minute. 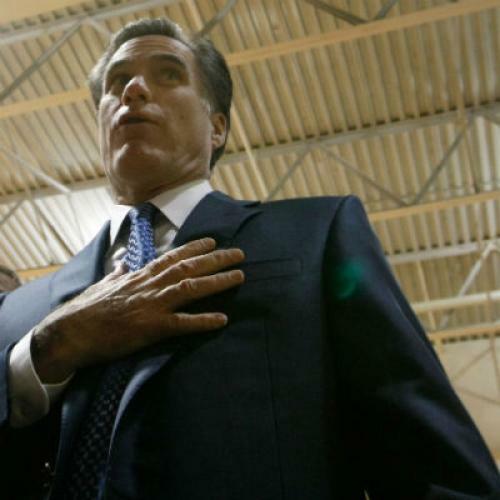 For healthy adults, a lower heart rate at rest generally implies more efficient heart function and better cardiovascular fitness.” Mitt is nothing if not efficient. That’s why his heart beats at about the same rate of his Olympic athlete horse. Romney's doctors can't get over his "strength, energy, and stamina"
Dr. Gaz also testified to Romney’s “ability to be engaged in multiple, varied, simultaneous activities requiring complex mental, social, emotional, and leadership skills.” Look for his forthcoming guest spot on Jennifer Rubin’s blog, in which he begs Stuart Stevens, et al, to showcase that Romney.